So you want to purchase a healthy captive bred baby indian star tortoise for sale, but what does it eat? Well, a lot… but in all seriousness, feeding them properly is key to a healthy indian star tortoise. Feeding baby indian star tortoises is also SIMPLE. The best things you can feed are simple, easy to find and honestly better for the tortoise then going crazy with all types of veggies and even fruits which you should avoid altogether. We feed our baby indian star tortoise a simple but very high quality diet tortoise food for sale including Dandelion Greens (usually available at super market or produce market, just ask someone!) Spring mix (a blend of various greens and lettuces normally consisting of an even ratio of:Baby lettuces (baby green romaine lettuce and red romaine lettuce, tango lettuce, baby green oak lettuce and red oak lettuce, lolla rosa, baby green leaf lettuce and red leaf lettuce, baby green butter lettuce and red butter lettuce), baby greens (red swiss chard, mizuna, tatsoi, baby spinach, arugula), frisee and raddichio. As mentioned above, we also feed soaked and mushed mazuri tortoise chow, available on our website. Take 6-8 pellets per tortoise per day (based on tortoises under 1 year old, increase 3-5 pellets per year of age) and drop them into a cup of warm water for about 8 minutes or until they are swollen and soft. Some tortoise keepers mush them up, other try to keep them whole and just soften them… we feed this every other day in addition to the greens listed above daily. We sprinkle calcium on the food twice a week or provide tortoise bone (a tortoise calcium supplement /turtle calcium supplement )also known as a cuddlebone). Indian Star Tortoises also sometimes mistakingly called indian star turtles, or indian turtles are some of the smallest species of tortoise for sale in the world. 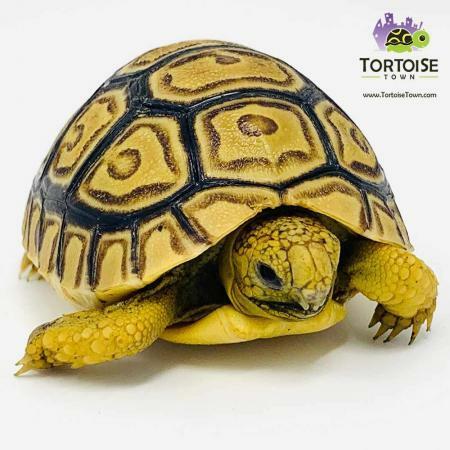 They are related to the burmese star tortoise, the sir lankan star tortoise as well as the radiated tortoise for sale, all known more commonly as star tortoises, or star turtle for sale for those who confuse the two. Burmese Star Tortoise – These are thought of as the “crown jewels” of the tortoise collection world when it comes to Star tortoises for sale. Burmese star tortoises, as well as the Sri Lankan star tortoise, are going to be significantly larger than their Indian Star Tortoise cousins. The Indian Star Tortoise would be considered a small tortoise whereas both the Sri Lankan Star tortoise as well as the Burmese Star will be considered Medium sized. In Most star tortoises, the male is much smaller than the female, so keep that in mind when choosing a male or female pet tortoise to buy. We have some beautiful captive bred Indian star tortoises for sale. These little star tortoises for sale are eating a variety of greens and are very active and healthy. We also have some gorgeous well started baby indian star tortoise for sale, which we recommend over the more fragile indian star tortoise hatchling for sale. If you’re considering an indian star tortoise, also consider our yearling indian star tortoises which are extremely well started yet still small (under 3.25″). They have extremely bright colors over a very solid black contrast and are sure to impress anyone looking for an exotic tortoise for sale. Indian Star tortoises are the smallest of the star tortoises, and therefore make great tortoises for those seeking an indoor or outdoor tortoise, that remains small. At full maturity, indian star tortoises reach sizes of 6-8″ on average, with a small percentage reaching 9-10″. When purchasing an Indian Star tortoise hatchling, it is imperative that you buy your baby tortoise from an experienced tortoise breeder and keeper. We are pleased to say that our baby stars are FANTASTIC! With a biologist ON SITE, we pride ourselves on selling only top notch tortoises, ready to ship to you via FedEx or UPS overnight. One shipping charge covers up to 4 indian star tortoises.